Great flexible Ocean cottage. Doors open up straight to open water Atlantic Ocean. Open white sand beach with large empty lots on both sides. Wide open rooms with plenty of angles inside and out. White Sandy tropical foliage, palm trees, coconuts, pool, and dockage. Great for sunrises. Sea Ranch estate is popular for motion pictures, music videos, and photography stills. 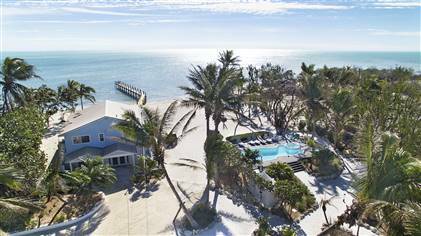 Located in Upper Florida Keys about an Hour from Miami.